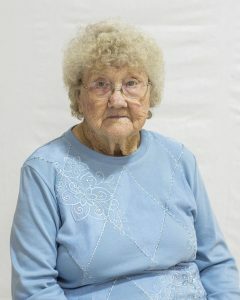 Viola Ruth Beckman, 87, of Brazilton, Kansas, died at 5:20 a.m., Monday, March 4, 2019 in the Medicalodge of Girard. Viola was born April 27, 1931 in rural Hepler, Kansas, a daughter of Arthur and Lydia (Weber) Kroenke. She attended Immanuel Lutheran School at rural Hepler and later she worked as a cook at the school. She married Arnold John Beckman on November 23, 1950 in the Immanuel Lutheran Church at rural Hepler. He preceded her in death on October 28, 1976. 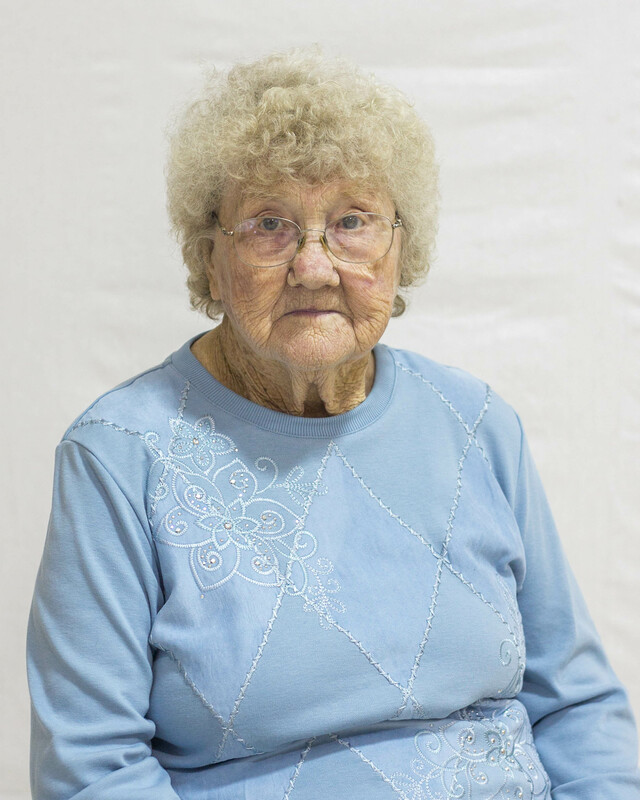 Viola was a member of the Immanuel Lutheran Church and the Ladies Aid Quilters at the church. Viola enjoyed quilting and she was an excellent seamstress, having sewn all the children’s clothing, including prom dresses and wedding dresses. Survivors include a son, Donald Beckman, and his wife, Sherri, of Pittsburg; her daughters, Delores Beckman of Brazilton, Betty Geier, and her husband, Kerry, of rural Girard, Linda Foxwell, and her husband, Timothy, of rural Mulberry; her grandchildren Ann Lero, Adam Beckman, Christa Meyer, Rebecca Oplotnik, Jeanene Walsh, Emily Beckman, Stephanie Karleskint, Timothy Geier, Lydia Rohner, and Matthew Rohner; her great-grandchildren Emmagen Lero, Aubree Lero, Riley Lero, Jonathan Beckman, Lilly Beckman, Regan Oplotnik, Josie Oplotnik, Isabella Walsh, Elijah Walsh, Oliver Walsh, Benjamen Karleskint, Liam Karleskint, Nolan Karleskint, Alexzander Geier, and Adela Rohner; her sister, Gladys Hay, of Girard. Viola was preceded in death by a great-granddaughter, Lucy Rose Walsh; her brothers, Wilbur Kroenke, Oscar Kroenke, and Melvin Kroenke; her sisters, Elsie Stoll and Florene Herlocker. Funeral services will be at 10:30 a.m., Thursday at the Immanuel Lutheran Church with Pastor Jay Hobson officiating. Burial will be in the Immanuel Lutheran Cemetery near Hepler. Friends may call after 2:00 p.m., Wednesday at the Smith-Carson-Wall Funeral Home in Girard. Memorials are suggested to Immanuel Lutheran Church Altar Fund and these may be left at the church or the Smith-Carson-Wall Funeral Home, 518 W St. John, Box 258, Girard, 66743.